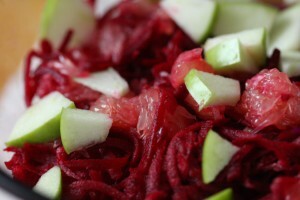 Wierdly, for some reason I’m a big fan of raw beets. A little on the odd side, I know. 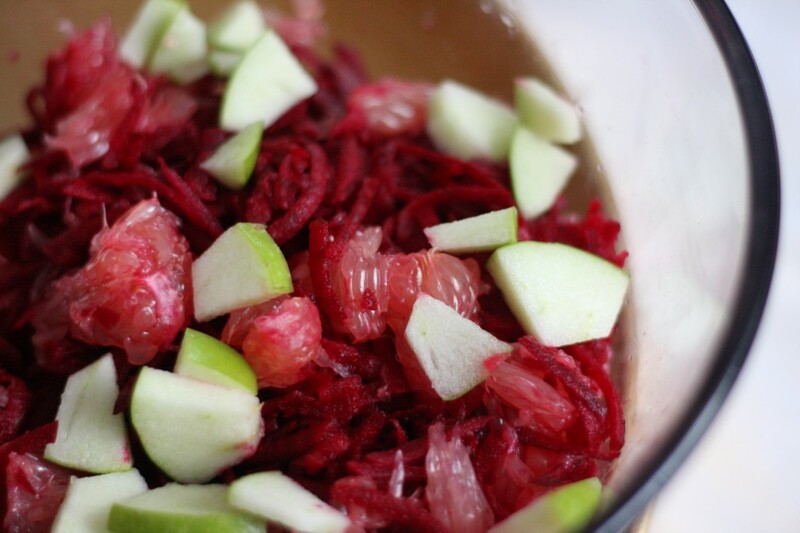 Whats even stranger is that I discovered how much I looove raw beets with grapefruit. The juicy, slightly tart citrus with the fresh crunch of the beet and sweet apple are pretty great. I’m finding that ever since starting on betaine supplements with digestive enzymes, eating citrus and some other raw foods is actually less problematic. Sooo I’m giving this one a shot. 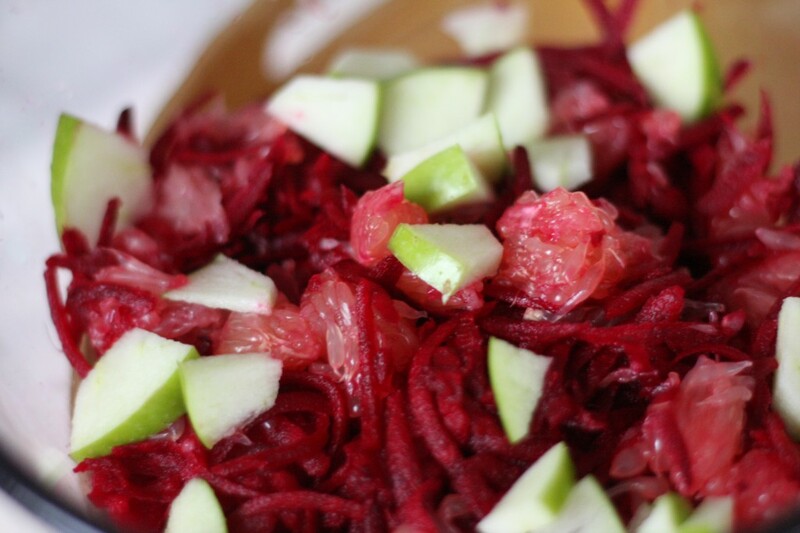 Its a great way to make the most of winter vegetables available and to give a little variety break from the regular green salad that I seem to just fall back on for everything. Peel the grapefruit, and slice in half. Using a sharp knife, slide along the top ‘seam’ of each section and pull out the citrus flesh. (Its the easiest way I’ve found to remove the tough grapefruit sections). Toss it all together and dress with lemon juice, salt, olive oil to taste. Add in some salad greens if you wish. NOTE: If you don’t want your apple to get pink, just sprinkle on top of each serving before eating rather than tossing. You are so kind to drop a note to say hi- thank you ! Out Damn Spot! hahaha but seriously, Lady MacB, this salad looks great.